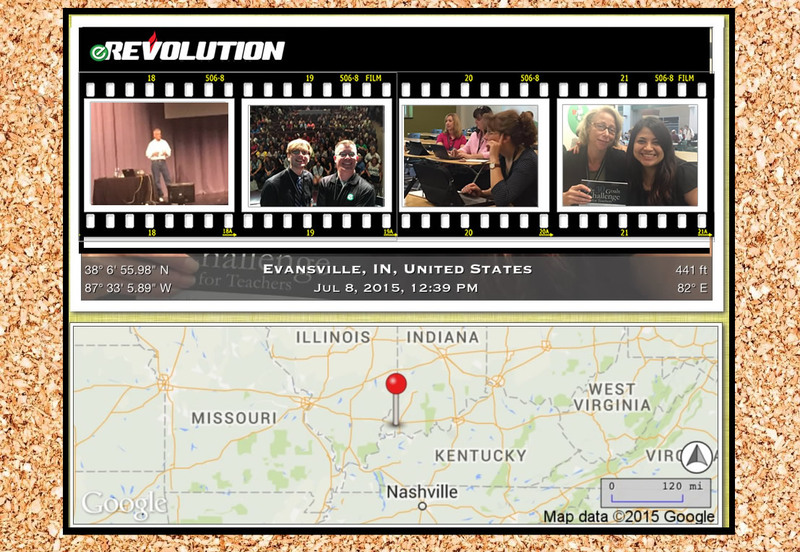 Given my excitement about ThingLink EDU, my passion for teaching, and my desire to take on this challenge, I eagerly travel to the southern tip of Indiana. It wasn’t until my first ThingLink workshop that I discovered that Indiana has begun to utilize virtual learning days for inclement weather. What a fabulous idea! I love the idea of virtual learning days because I teach in Chicagoland where we have had more than our share of school closings in recent years. Extending the calendar at the end of the year hardly seems beneficial, since end of year learning is not the same as continuous learning. I believe it’s a much better idea to utilize those bad weather days wisely and embrace virtual learning. Great news! I have the perfect tool for maximizing instructional time beyond the classroom walls, ThingLink EDU! ThingLink is a digital platform that empowers teachers and students to easily turn any image or video into a media rich interactive learning tool. ThingLink is available from any device, 24/7. Start with an image or video. Annotate it with text and rich media to provide students with differentiated resources. Use integrated Google Docs to drive instruction. Collect information, personalize learning and motivate students through feedback. Explore the example below which features Google Docs powered guided learning for students and a lesson plan for teachers. Turn the page in the Channel to read and explore the interactive mini book that follows. Now consider using the Remix feature to make a copy of this lesson for your own modification and reuse. Educators can design guided student driven learning experiences with flexible paths to help every student succeed in a virtual learning environment, as well as within the brick and mortar walls of the school. Design learning experiences with media rich resources at a variety of levels for differentiation. Build in frequent, informal assessment to check for understanding and provide students with reteaching or challenge. Tag an image or video with your personal feedback and start a conversation. Drive instruction with Google Docs to help students collaborate. Access ThingLink from any device, 24/7. There are tremendous possibilities across all content areas and grade levels with the power of ThingLink EDU. Click on the icon on any image to view a description of the activity. Click on the icon on any image to explore the resource. Keep in mind, you can ReMix any of these lessons and modify them for your own use. I am fortunate to have access to a webinar tool to facilitate live demos and conversations about the numerous ways educators can use ThingLink EDU to power a virtual learning environment and would love to offer to schedule a demo in the coming weeks before school resumes. Click on the image below to request a demo.